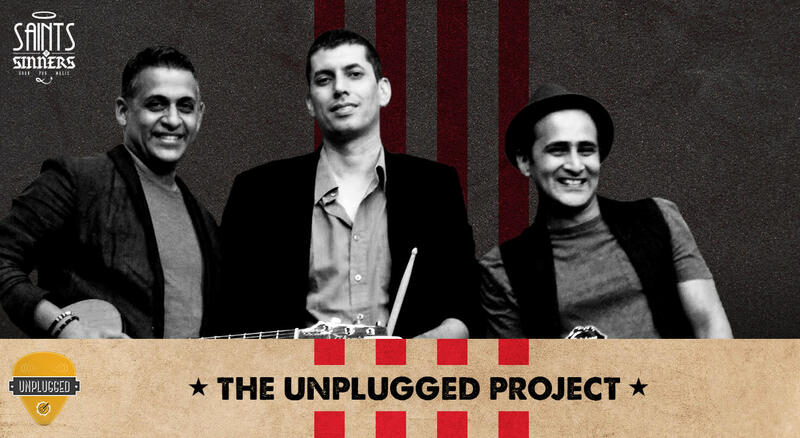 The Unplugged Project is a popular acoustic band from Delhi specialising in high-energy music for festivals, colleges, weddings, pubs, corporate events and private functions. The band consists of lead singer and guitarist- Aditya Jassi, singer and guitarist - Manish Gunthey, Ashwani Verma on drums, Abhay Sharma on the saxophone, and Vinayak Gupta, vocalist on the keyboard. Unplugged draw their musical influences and inspiration from rock, folk and country music. Unplugged is a collaboration between Manish Gunthey, Aditya Jassi and Ashwani Verma. The band performs a mix of Bollywood contemporary covers and retro Hindi music, English pop, rock and contemporary music. By using their engaging vocal style and their own unique improvisation on cover songs, Unplugged enthrals audiences with their outstanding musical performances. A true musical performer, Manish Gunthey, ‘MG’ as he is popularly known, is a Singer - Songwriter, Guitarist and a Karaoke host. With a love for Country music and Rock, MG left the corporate world to pursue his passion for music. Aditya Jassi: Aditya is a self confessed Grunge & Classic Rock lover but loves Hindi music of old. A Singer- Songwriter, Playback singer and Guitarist. Adi has also learnt the nuances of Indian Classical music and is equally adroit in Indian Classical and Sufi music which is evident from his personal sound. Ashwani Verma: Drumming his way onto the music scene, Ashwani was the founding member of the Indian band Euphoria. When he's not busy playing for Unplugged, Ashwani is a drumming educator often spending his time teaching.